Fully revised and updated, this is the definitive guide to making quality beers at home. 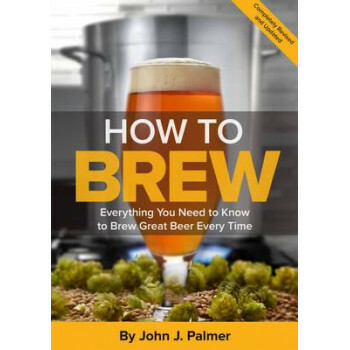 Whether you want simple, sure-fire instructions for making your first beer, or you are a seasoned homebrewer working with all-grain batches, this book has something for you. John Palmer adeptly covers the full range of brewing possibilities -- accurately, clearly and simply. From ingredients and methods to recipes and equipment for brew-ing beer at home, the book is loaded with valuable information on brewing techniques and recipe formulation. A perennial best seller since the release of the 3rd edition in 2006, this is a must-have for every new and seasoned brewers library.